This month’s Sourdough Surprises is croissant! They need to have Nutella in the middle! 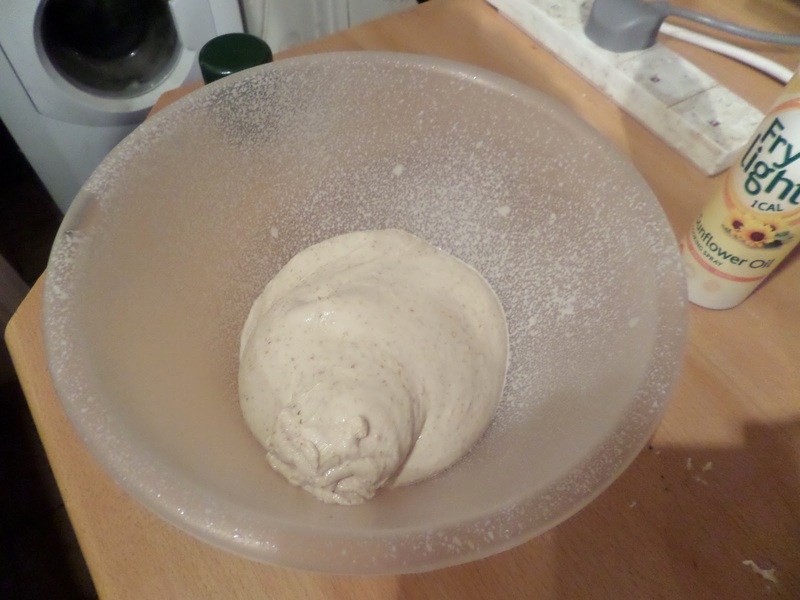 I’m refreshing the sourdough on Friday morning, then in the evening I’ll make the dough as above, and let it rise slowly in the fridge overnight. On Saturday I’m doing the laminating. 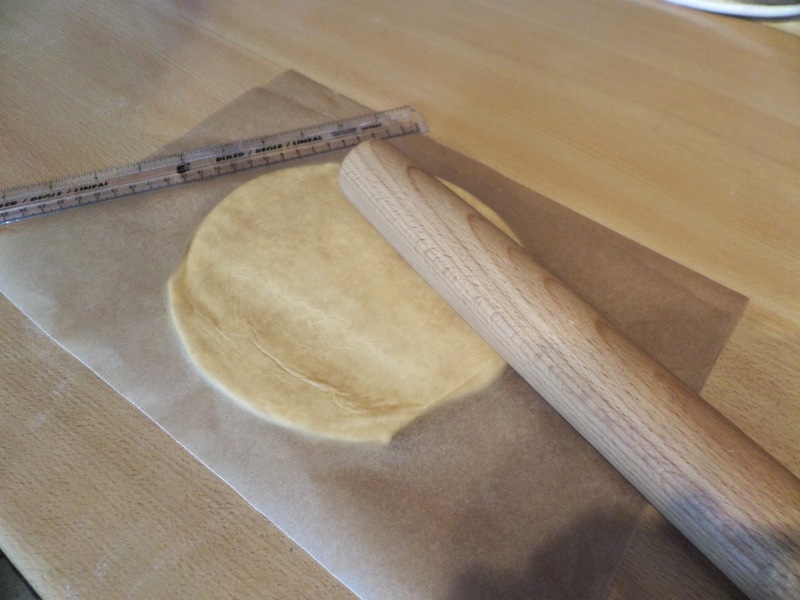 The butter gets bashed out to about 14cm square. 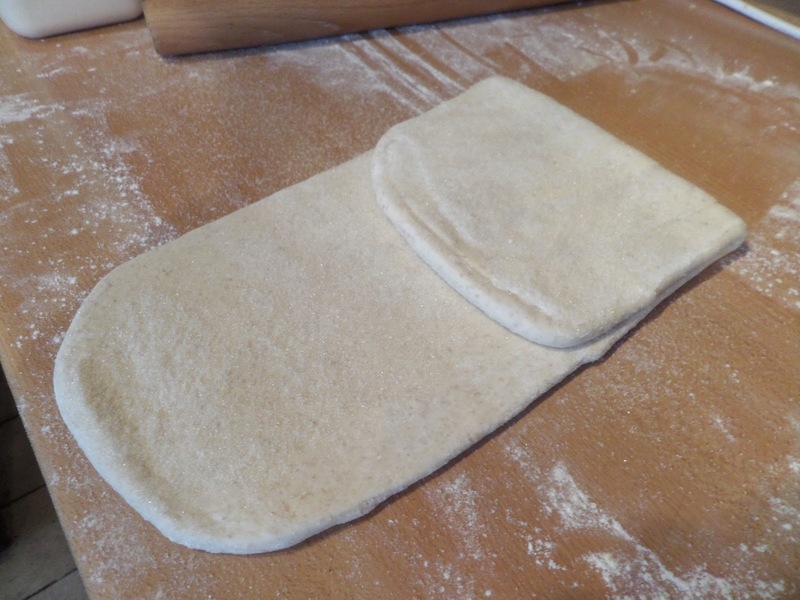 The dough is rolled out to about 20cm square, then the butter goes on the dough at 45 degrees and the flaps folded over. Then it gets a letter fold before going in the fridge for 30 minutes. It gets another two folds and fridge, for a total of three folds. Then on the fourth fold sugar is sprinkled on before folding. 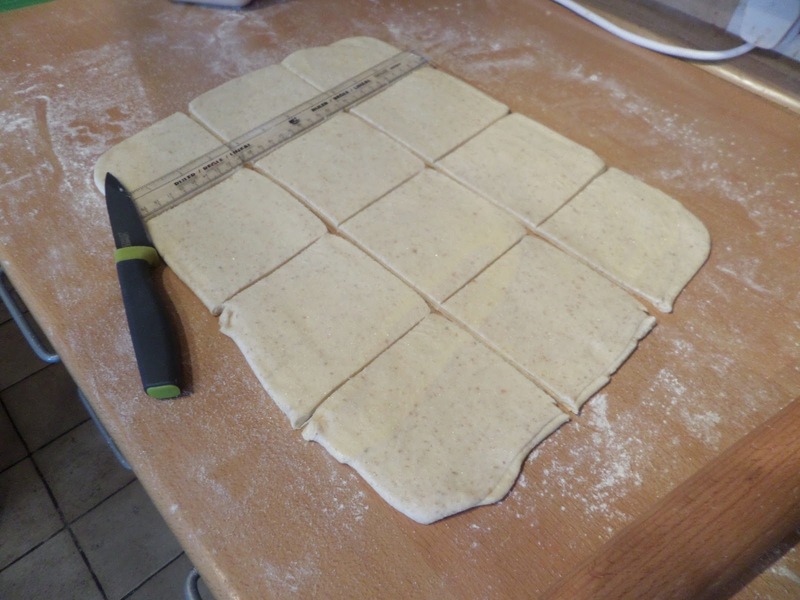 Then it’s rolled out to a 40x30cm rectangle, sprinkled with more sugar, and cut into 12 squares. Each square goes into a greased muffin tin hole. Each square has a dollop of Nutella put in the middle. 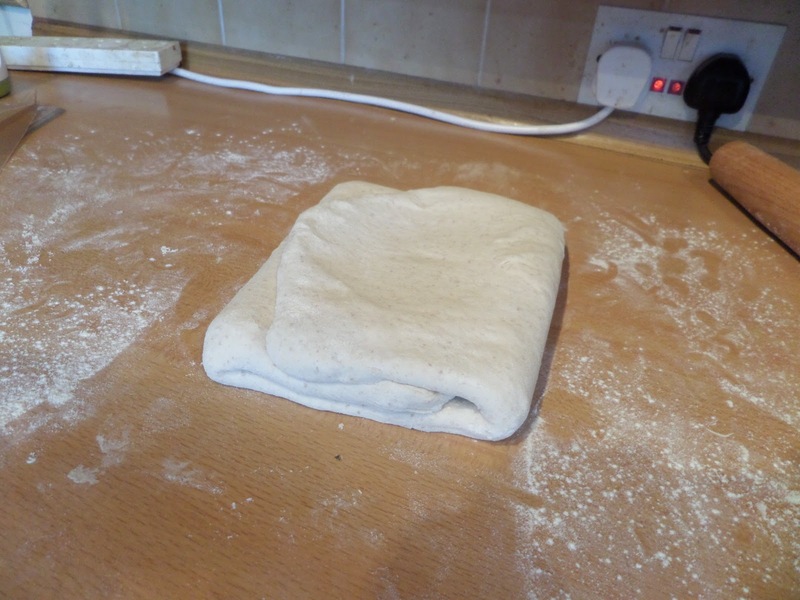 Then the four corners are folded into the middle and pinched together, and even more sugar gets sprinkled on top. Then it’s back into the fridge to proof overnight. Finally on Sunday morning they get baked. They come out of the fridge while the oven heats to 200C fan, then they get baked for 30-40 minutes. The recipe says to cover half way through if they’re browning too fast, which with all that sugar I think is inevitable! So my plan is to bake at 200C fan for 15 minutes, turn and cover with foil, then bale for another 15 minutes, then see how they’re looking. They were looking great, and like they could take another five minutes without the foil on, so that’s what they got. I quickly removed from the tin, before the caramelised sugar welded them to the tin. I started by using a knife to free the first one, but it soon became clear that they just lifted out with a spoon. It was hard waiting the few minutes for them to cool down enough to eat. I’m so happy with these! 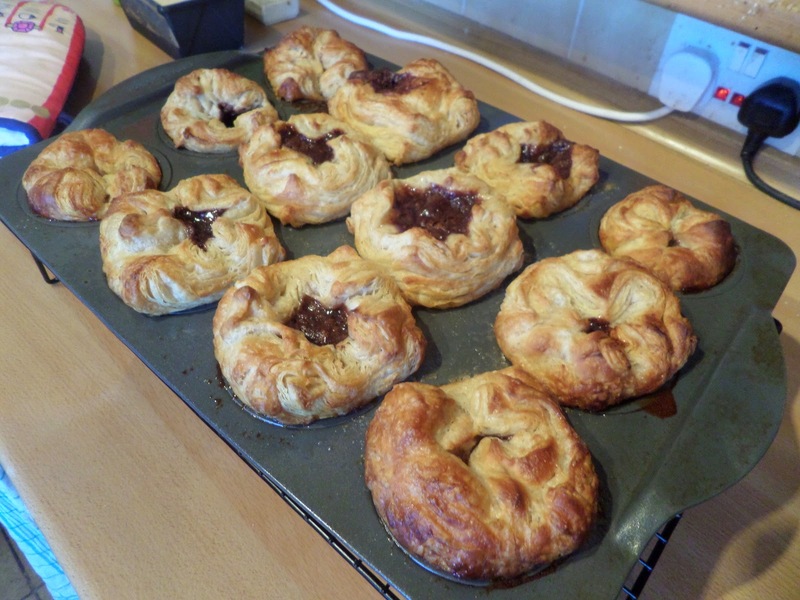 The pastry is as flakey as it looks, it tastes lovely and buttery and sweet, and the gooey Nutella centre tops it off perfectly! 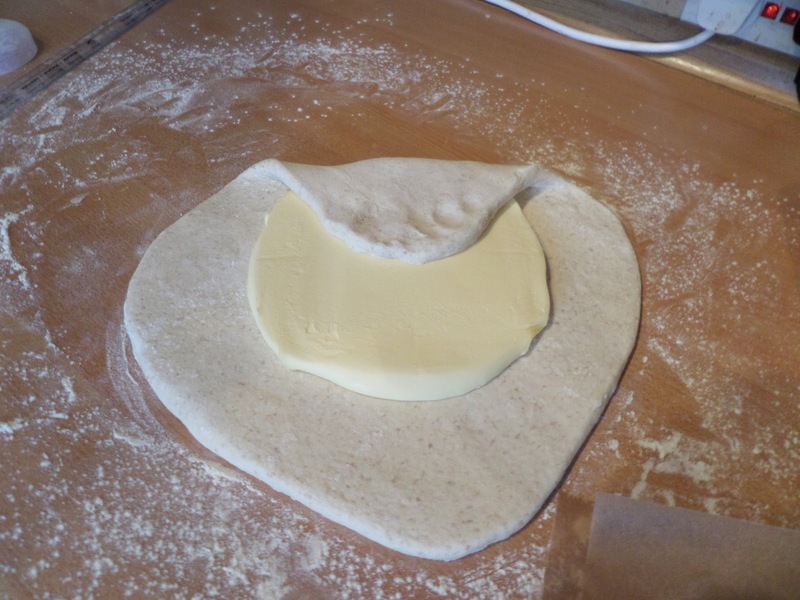 Check out the other Sourdough Surprises croissants! Wow, what a great idea, fantastic job! This is giving me lots of ideas, thanks!! 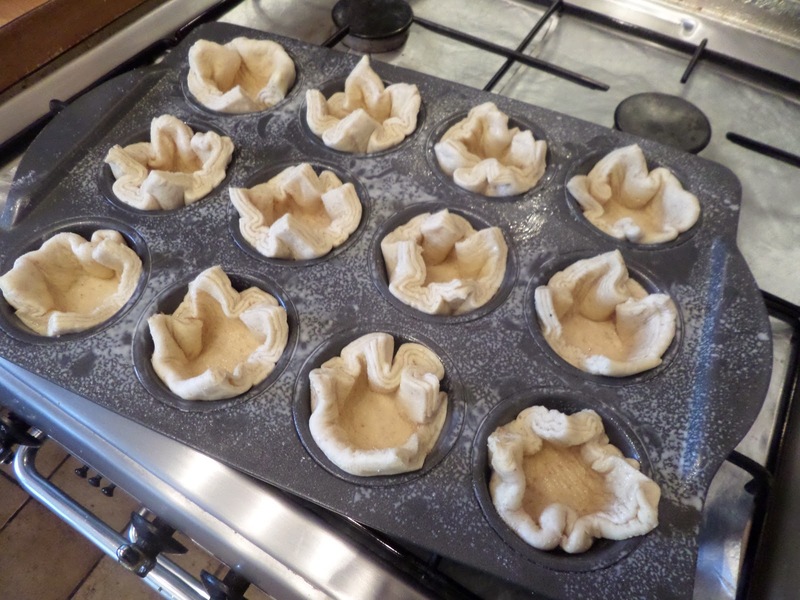 I’ve been wanting to make Kouign Amman since that GBBO episode as well! I can’t believe those poor bakers had to make so much laminated dough this season in such short time-frames. It’s much better spread out over a few days, isn’t it? 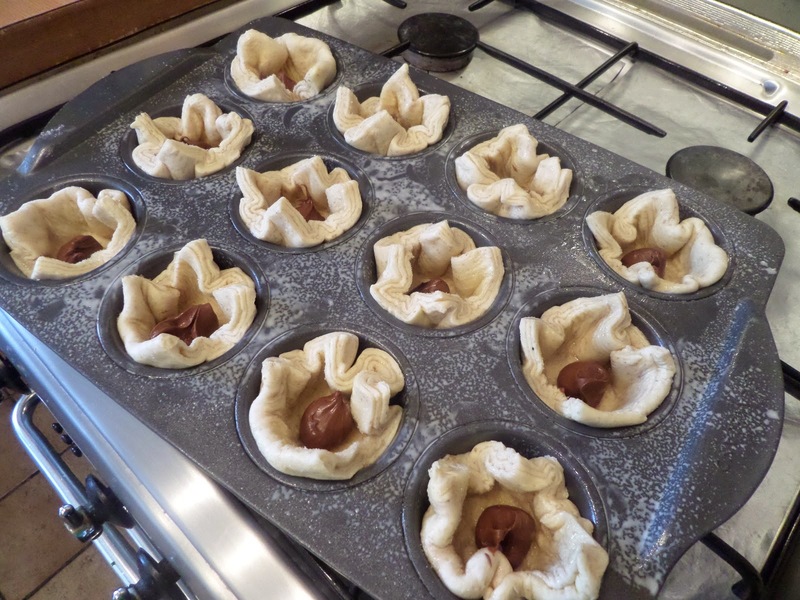 Your Kouign Amman look great and I love the idea of putting Nutella in the center. Spreading it out over days is also meant to be better for both sourdough and croissant taste, but that’s not the main reason I do it, I just prefer less stress! I’d be in the queue for these Nutella filled treats. Great job!! 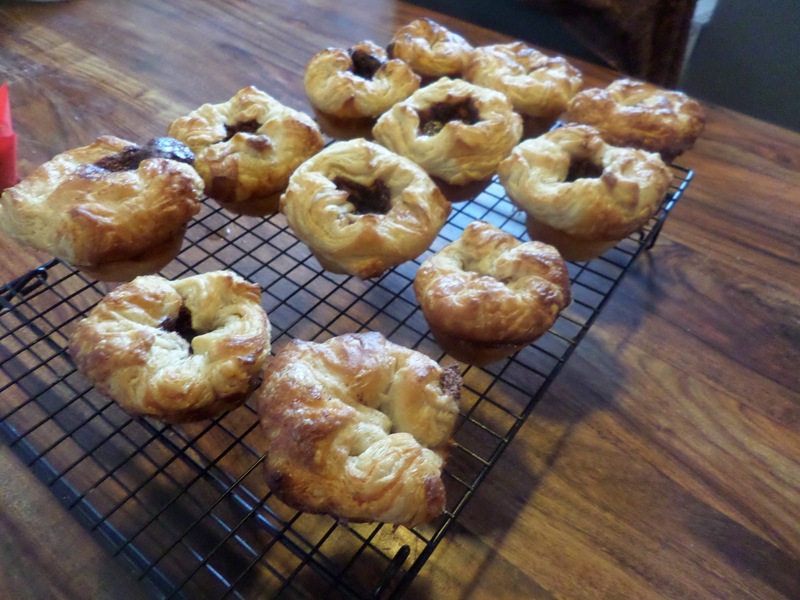 I have been wanting to make these for a while now (and secretly planning on us doing them for SS – but not for a while yet, since we just did croissants). These look awesome! Umm, I must make these. Very, very, very soon. They look outstanding. GREAT job. 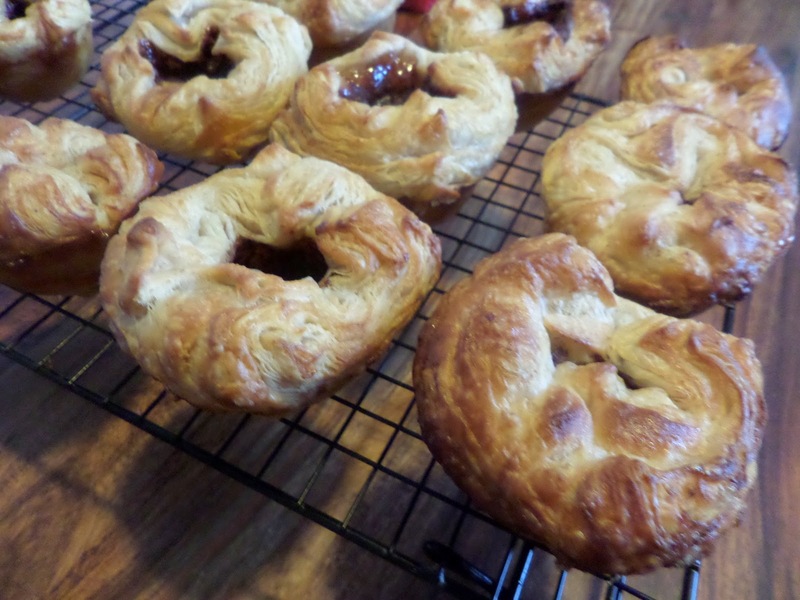 Your post and these amazing pastries tempt me to try working with laminated dough – a totally stress-inducing thought until now. 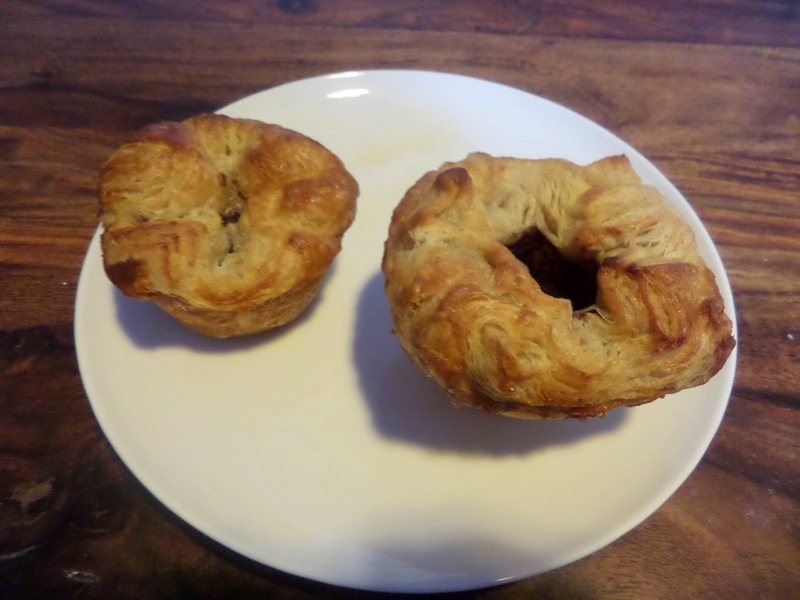 I just added Kouign Amann to my To-Bake list recently. And since you’ve done the conversions for me, easier for me. Good job! Oh my. 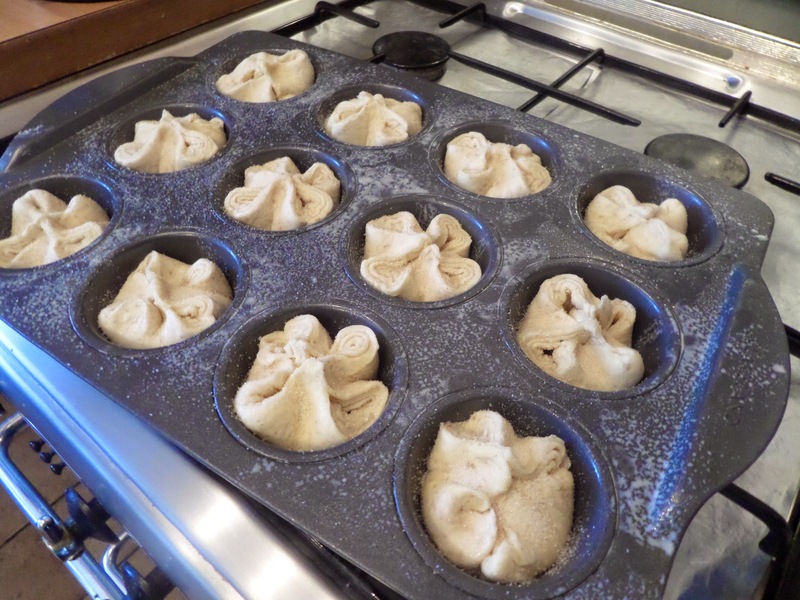 I had bookmarked a kouign amann recipe and forgotten about it, but your post reminded me that I must try these soon! I bet they were fabulous with sourdough starter. Yum! They’re definitely worth the effort!